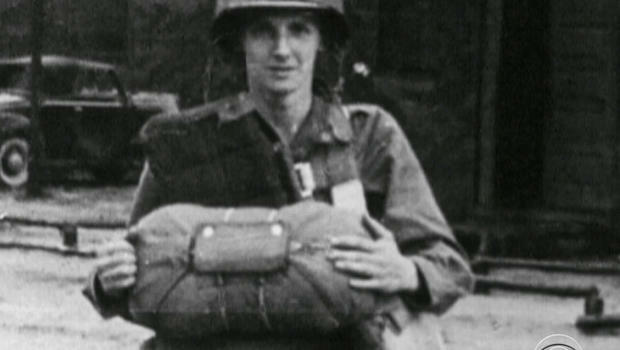 XENIA, Ohio — On a winding road, past a stand of sycamores outside his Ohio home, CBS News found Jim Martin, 70 years after his first trip to France. Jim was one of the first Americans in combat in Europe. “They called us the tip of the spear,” he says. They were inviting targets as they drifted toward the ground and the enemy. “It was absolutely fascinating to see all these various colored tracers coming up there,” he says. Their mission was to keep the Germans from reinforcing their troops on the dunes. Jim and his comrades landed right in the middle of those German reinforcements. But what was supposed to be three days of fighting in Normandy went on for a month. Jim Martin was one of the first Americans in combat in Europe. Jim went from Normandy to fight in Holland, where he was wounded; from Holland to the Battle of the Bulge in Belgium; and from Belgium to Berchtesgaden, Germany — Adolf Hitler’s retreat in the Bavarian Alps. Jim is 93 now, one of the few left who can talk firsthand of a time when he says right was right and wrong was wrong, and everyone knew the difference. 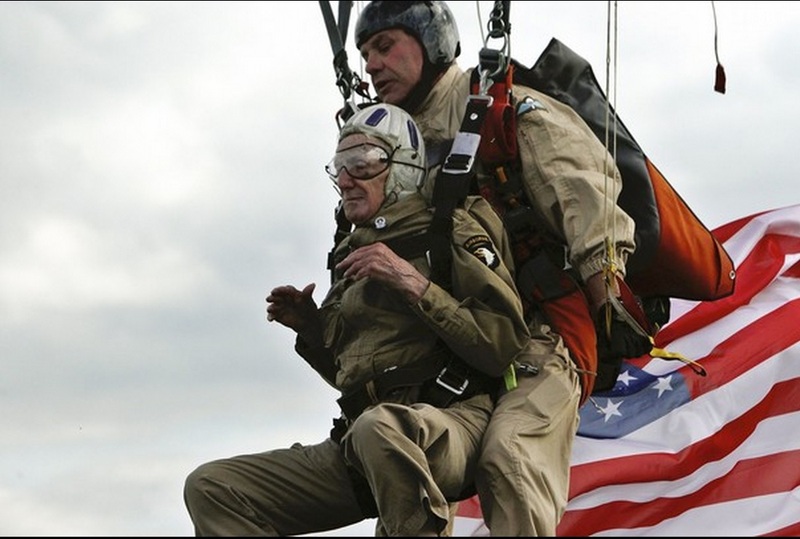 And here’s the best part: This week, he’s going back to Normandy, where he intends to parachute — yes parachute — onto the same soil he touched seven decades ago. “I’m not usually looking for records or anything, but that would give me a great deal of satisfaction,” he says.